With the advent of technology and an increasing number of connected devices, it's critical for every business large or small to establish a digital footprint to stay relevant in today’s digital economy. 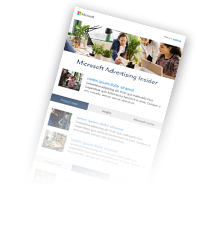 Bing Ads boosts digital interactions for businesses and helps connect people with relevant information in the moments of the consumer decision journey that matter the most. While digital advertising is incredibly powerful and open, it is also prone to abuse by bad actors trying to defraud and deceive users by delivering harmful and misleading ads, with persuasive content and innocent looking URLS that lead to phishing, malware attacks and other types of fraud. At Bing Ads, we're committed to delivering accurate and relevant information to our customers and protecting them from low quality or harmful experiences. We have a dedicated team of policy professionals who keep our Bing Ads policies up to date to help ensure a safe ecosystem for our end users, advertisers, and publishers. Every ad entering Bing Ads is evaluated against these policies not only with the latest AI technology and techniques, but also by a global team of human review experts who find and weed out bad entities. We know that scammers will keep evolving their techniques to try to circumvent our protection mechanisms, but we continue to invest in staying ahead of the curve. Any non-compliant ad reported by our users is quickly acted upon by our human review experts and incorporated into our automated detection systems. Bing Ads constantly invests in upgrading our technology, processes, policies and human resources to stay ahead of fast-changing patterns used by scammers. In 2018, we suspended nearly 200,000 accounts from the Bing Ads platform, twice the number in 2017. 900 million bad ads and 300,000 bad sites were also removed from our system. To put it in perspective, if one person took a single second to find and take down each bad ad or scammer, it would take them nearly 30 years to remove the same number found by our automated methods in 2018. Tech support scams: To attract potential victims, tech scam attacks often involve tempting people to click on innocent looking ads. These ads then redirect them to a webpage using a full screen pop-up with a beeping sound, containing messages such as “virus detected in your computer” or “your computer has been locked.” The pages may contain Microsoft or other reputable brand logos to make them look genuine. When the users call the toll-free number listed in the message, fraudsters claim to provide solutions for getting rid of the virus, and charge users for unnecessary support packages. Example of a fake support page created by a scammer. Across Microsoft we have been focused on fighting tech scams, and we brought down more than 12,000 Bing Ads accounts (an increase of approximately 20% YoY) that were perpetrating these scams. By combining the power of machine learning models, operational and domain expertise of our review teams and data sharing across Microsoft product lines (for example, Windows Defender), we're able to more holistically protect end-users. Not only did we ban these sites across Microsoft properties, but we also worked with Microsoft’s Digital Crimes Unit (pictured at the top of this post) to enable legal action and new breakthroughs in combatting tech support scams. If you’re ever unsure about any support service calls supposedly coming from Microsoft, hang up the phone and report the scam at microsoft.com/reportascam. Cryptocurrency: Cryptocurrency as an asset class saw a bull run in 2018, increasing valuations multi-fold. The high returns and volatility of cryptocurrencies invited a lot of interest from retail investors and speculators looking to make a quick return. There wasn't much regulatory oversight, and the overall pseudo-anonymity built into currencies like bitcoin made cryptocurrency a prime target for fraudsters and scam artists to defraud end-users. Bing Ads therefore decided to ban cryptocurrency content from our advertising platform and blocked more than 5 million ads containing cryptocurrency content. Weapons: Advertising weapons whose primary purpose is violence is disallowed in Bing Ads. In 2018, we updated our policy to also disallow ads for recreational guns such as BB guns, paintball guns and air rifles, as well as integral accessories that can be attached to weapons, used to create ammunition, or aid in the reloading process. We weeded out more than 18 million ads and 5,000 websites from our platform. This change in policy has helped us work towards better detection and enforcement for weapon content. The start of 2019 presents opportunities for taking our quality and protection efforts even further. We'll continue to leverage the interdisciplinary efforts of experts in machine learning and system design to scale our technology, alongside the domain expertise of policy and review experts to deter bad actors. Despite all our efforts, scammers might still evade our checks. If you see a bad or suspicious ad, please report it through our Bing Ads ad quality escalation form. We value your feedback and partnership and we'll continue to strive to keep Bing Ads ecosystem safe.